When most people think about Arizona, they think about the deserts, but there is more to the state than cacti. The state is also full of beautiful mountain ranges and lush forests. Therefore, it is the perfect place for those who love fresh air and wide open spaces. It is a hiker lover’s paradise. If you are looking for a place to settle down, put Tucson on your list. It is home to millions of people. Tucson offers the benefits of living in a larger city but with a small town feel. You get the best of both worlds. No matter where you are moving to or from, we understand that it can be a challenge. It is stressful having to move all your belongings to a new home in another state. You want to ensure that everything arrives safely. You will likely want to take your car with you, as it is the best way to get from Point A to Point B. Use car shipping services to transport your car. Not only will you save time, energy, and money, you will also save yourself a lot of stress. Having a professional auto transport company, such as National Dispatch, ship your car to its destination is a convenient and reliable way to ensure that the vehicle arrives, safely. There are many instances in which you could take advantage of this service, not just when moving to a new home. You may use car shipping when purchasing a car out of state, vacationing, or entering a car show. Here are a few tips to ensure that car shipping is a success. Protect the car. If you are the owner of a classic, exotic, or luxury vehicle, then you may want to consider using an enclosed carrier. Enclosed auto transport will provide more protection for your car against road elements and the weather. Remove personal items. It is recommended that you remove all personal items from the car before transporting. Failing to do so could lead to damage to your car or to the items. In addition, you do not want to face the risk of delays or added fees. Inspect the car. Before the driver arrives at your home for pick-up, walk around the vehicle to note any signs of pre-existing damage. Take photographs to keep for your records. Leave only 1/4 tank of gas. Only a quarter of a tank of gas is recommended. Your car will only be driven for unloading and loading purposes. More gas in the tank means more weight. Learn more about Preparing Your Car For Shipping. Are you planning a move to Tucson? Here are a few things that you might want to know, beforehand. 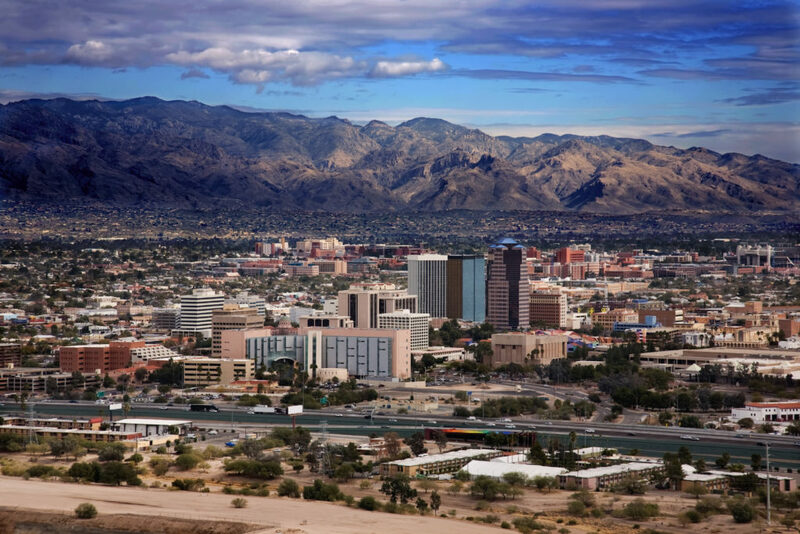 Tucson has a booming economical climate. Job growth within the city has gained momentum and is on track to continue to gain momentum for the next several years. Currently, the biggest employers in the city are the University of Arizona, Raytheon, and Davis-Monthan Air Force Base. The three of these companies combined employ thousands of people across a variety of fields. The average house in Tucson costs below the national average, making it an affordable place to live. A house that may cost more somewhere else in the nation might only cost slightly less in Tucson. The lower housing prices draw in more families and first-time homeowners, creating a mean age of 38 years old. Sam Hughes – Located in Central Tucson, Sam Hughes has a diverse range of people, from college students to professional sports stars and everyone in between. The houses and bungalows in this neighborhood are within walking distance to nightlife, shops, and restaurants. Dove Mountain – Dove Mountain is one of the more popular neighborhoods in the North West part of town. Its housing prices range from inexpensive to on the pricey side. It is located close to freeways, which makes it easily accessible to other parts of the city. The neighborhood is primarily made up of stucco houses that compliment the desert landscape. Catalina Foothills – This is one of the richer neighborhoods in the city and consists primarily of upper middle class and upper class residents. The homes are minimalistic and designed to blend in to the desert foothills. It is popular with many working families, because it is located in the best school district that the city has to offer. The weather in Tucson is that of a typical desert. While it does not get as hot as some places, the summer months consist of some days with the temperature pushing 100 degrees. However, it is a dry heat, which to most is better than a humid heat. Winters in Tucson are fairly mild. It does not snow or get icy, but it can get a bit chilly outside. The average temperature for winter is only 53 degrees, so if you are a snowbird, this may be a great place for you. There is plenty to do in Tucson. The city puts on monthly events downtown. There are farmers markets, festivals all-year long, live music, and a fantastic food scene. You can get anything you want to eat from farm to table to french and Mexican cuisine. If you are a sports goer, then check out the University of Arizona Wildcats’ game schedule. People in Tucson care deeply about their Wildcats. Adventurers will also love visiting the nearby state parks and enjoying almost every day outside. National Dispatch is a nationwide car shipping company with a company-owned fleet. Request a free, instant car shipping quote today. No personal information is required. If you would like to speak with one of our auto transport representatives, call us at toll-free 800-321-2051. Get all your questions answered, and find out more about the car shipping process.